The Centerville Elks are known to prepare players for the next level. Just looked to East Lansing and the starting right guard Benny McGowan is a former Elk. This season is no different with senior quarterback Jacob Harrison and linebacker Adam Hensley. Harrison committed to the Naval Academy, and Hensley committed to West Virginia so now the focus is the underclassmen. 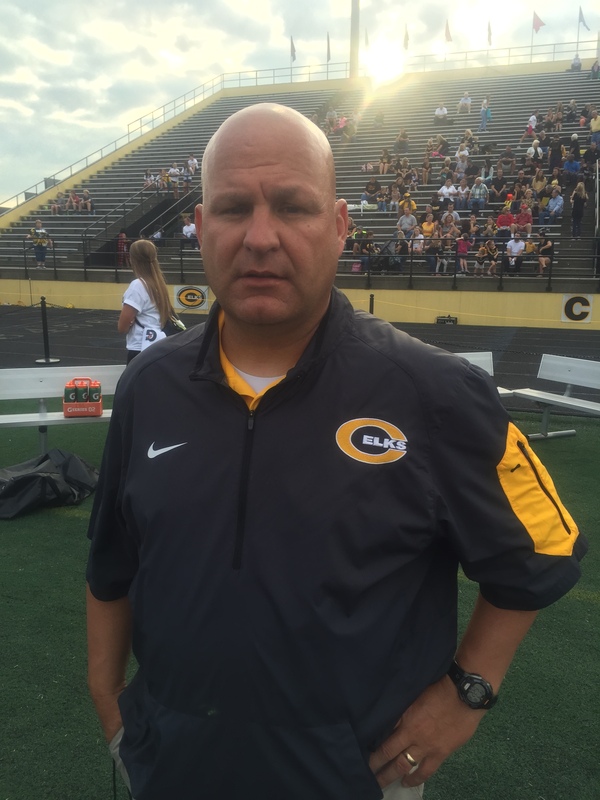 In an interview with Tri-State Football, Centerville head coach Rodney Roberts said a future scholarship player in the junior class is Colin DeBord. The 6-feet-1 plays numerous positions on the offensive side of the football. In the game against Trotwood-Madison, DeBord played wide receiver and kick/punt returner, but also played quarterback in the “Wildcat” package. In the first four games, DeBord has caught four passes for 98 yards and a touchdown. He also scored on a rushing touchdown in the Week 2 game against Springboro. As a kick returner, the junior is averaging just over 27 yards per kickoff return. He is drawing interest from colleges including Cincinnati, Toledo, and Youngstown State. This past offseason DeBord attended a camp at Ohio State, and according to Roberts, DeBord ran the 40-yard dash in 4.35. The Elks have five sophomores playing significant roles on the defense this season, and Roberts looks at them to be future prospects. Jevon Henderson, Sam Vance and Dylan Haller all start for the Elks on the defensive line. Henderson is considered the best prospect out of the three. Sophomore defensive backs Dom Ramsey and Donovan Shelton do not start, but play significant roles on defense. At times there could be up to five sophomores on the field at one time. When asked where this sophomore class compares to other classes, Roberts replied by saying it is too early to tell, but this is the first time contributing on the varsity level and holding their own. That could be said as each week the defense has shown improvements. In the last two wins the Elks have only allowed 68 points. That is an improvement since the 85 points allowed in the two losses to start the season. The future in Centerville could be bright with these students playing for the Elks.